Wi-Fi problems can occur anywhere, from thickly walled buildings, to long-range connections or simply a bad Wi-Fi signal in the first place. 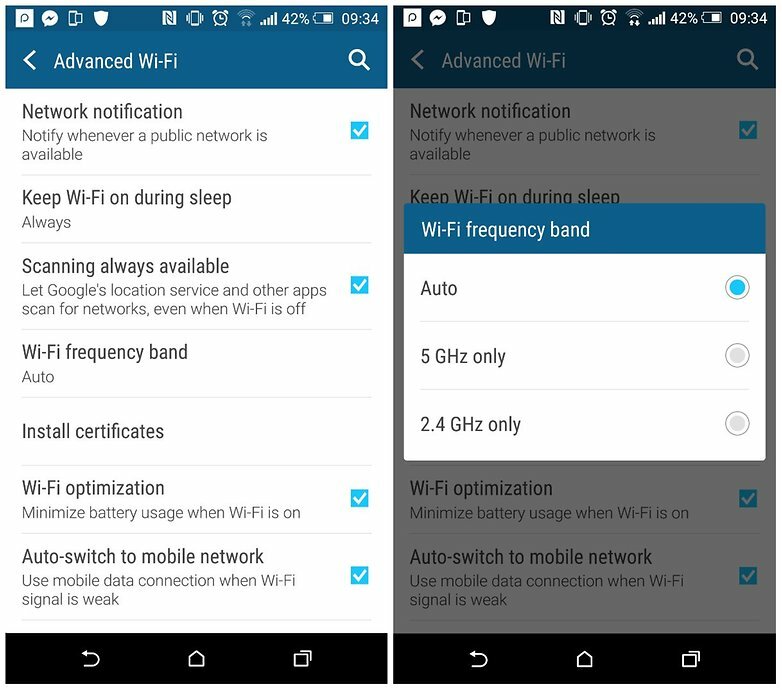 Here’s our guide for how to boost Wi-Fi signal on your Android smartphone. 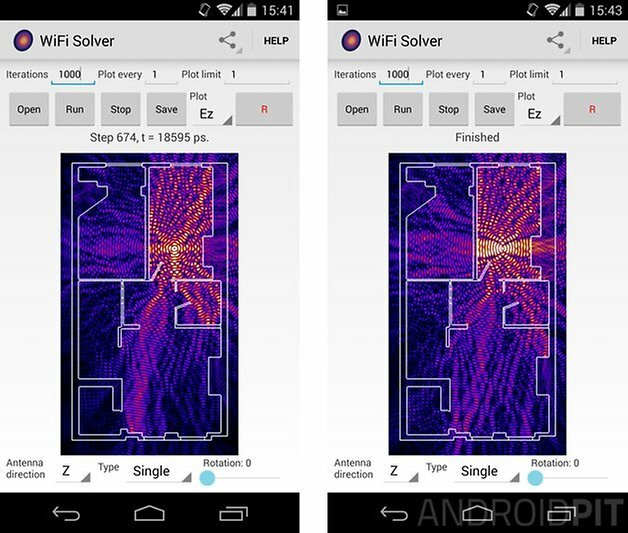 One way to do this is using the Wi-Fi analyzer app which houses three useful functions. Firstly it provides the best channel to use for your particular network. Secondly, it assesses which network in the area has the most stable connection, which often isn’t the one which your phone connects to by default. Lastly, it offers easy access to network information such as your IP address, network gateway, DNS, etc. It’s not essential, but useful for power-users. Many phone cases actually make your Wi-Fi signal worse, especially if they contain metal, which is often used for added protection or kick stands. 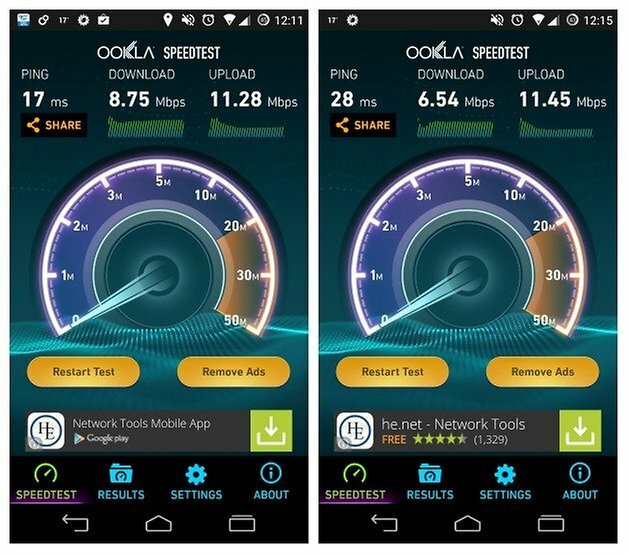 To see if your case is affecting your Wi-Fi signal, do an Ookla speed test with the case off, then, in the same location, put the case back on and perform the test again. If you see a difference when using your case you may want to look at alternatives. 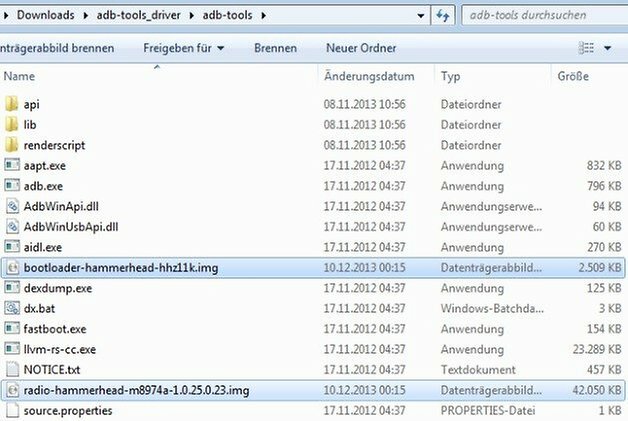 Another simple trick that can greatly improve the Wi-Fi connection at home is the optimization of the router’s location. Often it is placed right next to the phone or cable outlet, but this is rarely the best for your connection. If you can move it, take a look at the Wi-Fi FDTD solver app that allows you to see at a glance how your router signal is doing. Have all the above failed? It’s time for the old-school option. If you’re in real need of a better Wi-Fi signal then you can actually make your own little parabolic dish to ”catch” some better reception. This is basically a small version of a big radio or satellite dish. You can use a metal bowl or cut open a soda can to make a receiver dish. It may not be the most practical thing to do every time you have a weak signal, but it is fun. Most Android devices can run on the 5 GHz frequency band, as well as the old 2.4 GHz band. What does this mean? 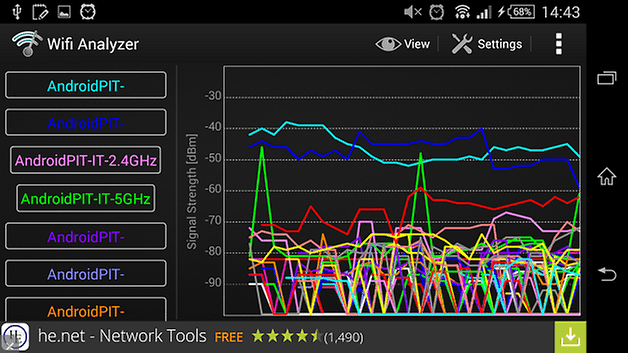 On the higher frequencies, like 5 GHz, there’s much more free space on the spectrum. There are 23 channels of 20 MHz each on the 5 GHz frequency, which is much more than the 14 channels offered on 2.4 GHz. Because the channels don’t overlap, you’re likely to get better signal on your Wi-Fi. If your router works on the 5 GHz band (most recent routers do), then switch your phone over to that band too by going to Settings > Wi-Fi > Advanced > Wi-Fi frequency band then tap Auto. This will ensure that your phone runs on the 5 GHz band when possible. 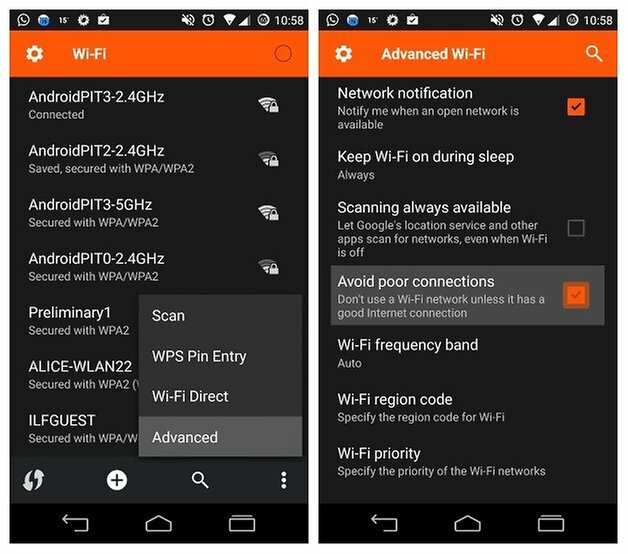 Never Android versions don’t allow you to switch Wi-Fi bands in the settings, but if you feel you still need this option, there’s a handy open source Wi-Fi Analyzer app that will enable you to switch Wi-Fi bands easily. If you’re receiving OTA updates from your carrier or manufacturer then this probably doesn’t apply to you, but if you are running custom ROMs you may find yourself occasionally needing to manually update the radio on your Android. You should also make sure you’re on the latest version of Android to ensure the best performance. To check this, go to Settings > About > Software updates. In the Android Settings menu there is a nice little option that tells your phone to avoid poor Wi-Fi connections, meaning that while it is scanning for available networks it will actually avoid trying to connect to those with poor signals. This will save you a lot in terms of power and frustration. Just go to Settings > Wi-Fi and tap the overflow menu button and then Advanced. Here you will see the check box to avoid poor connections. We hope we are able to teach you something new today? drop your comment and share with your friends.